I’ll use the term “Test Pressing” loosely. 100 copies at £100 each. I think I’ll give this one a miss. "B-side is Brow Of My Beloved. Morrissey has detailed his new covers album California Love. 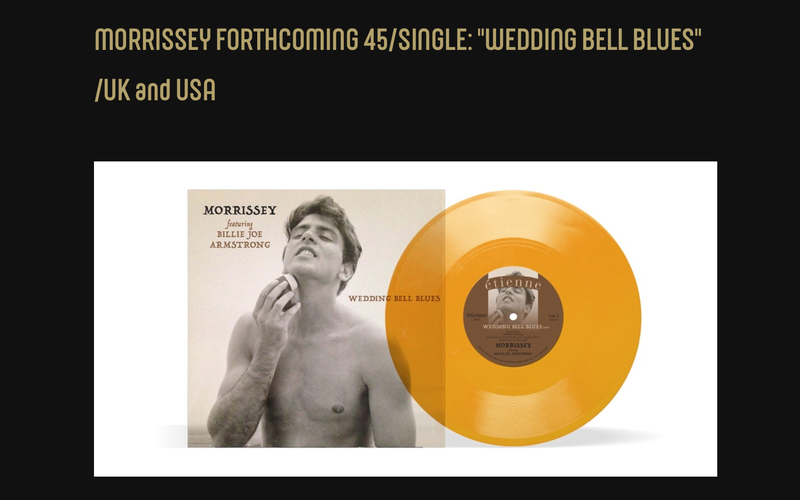 The 12-track record is out May 24 via Etienne (Morrissey’s BMG imprint). Below, hear Moz’s cover of Roy Orbison’s “It’s Over,” featuring backing vocals by LP. Region restricted currently, the "California Son" sleeve is revealed in the song link. Never seen it. Not sure if I should.